wizkid 's listening album party. Wizkid treated his UK fans to a free for all album listening party for his upcoming album 'Sounds From The Other Side'. 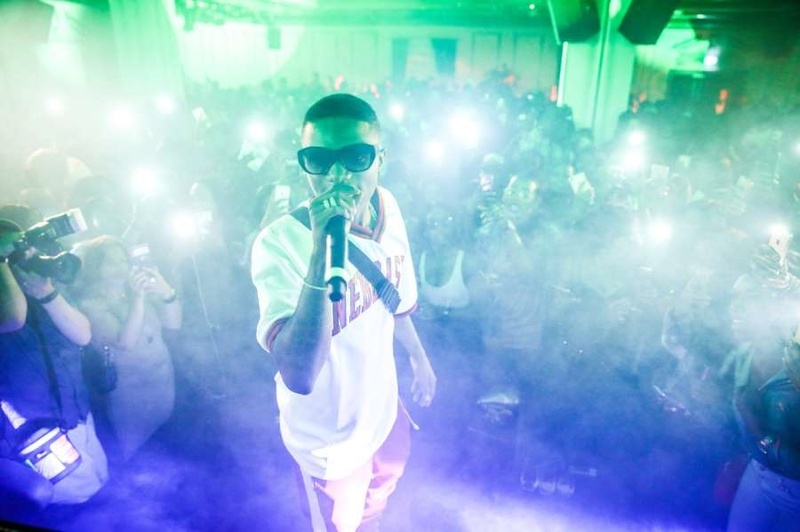 Wizkid held it down at the Curtain Road 45 in the UK, for his "Sounds From The Other Side" launch and listening party. The event held on Tuesday night in a free for all listening session, as Wizkid took the crowd through his past hit tracks from his Superstar album and back. British-Nigerian Grime rapper Skepta and dance-hall singer Burna Boy came through as part of the party guests and performers. The session hosted attendees with free drinks and finger foods, even as they had easy access to the award winning singer whose album drops on July 14. Along with 5 previously released tracks, the mixtape features TY Dolla $ign on two tracks “Dirty Wine” & “One For Me“. Trey Songz also features on another track titled “Gbese” while Wizkid adds a bonus track titled “Bring It Back“.